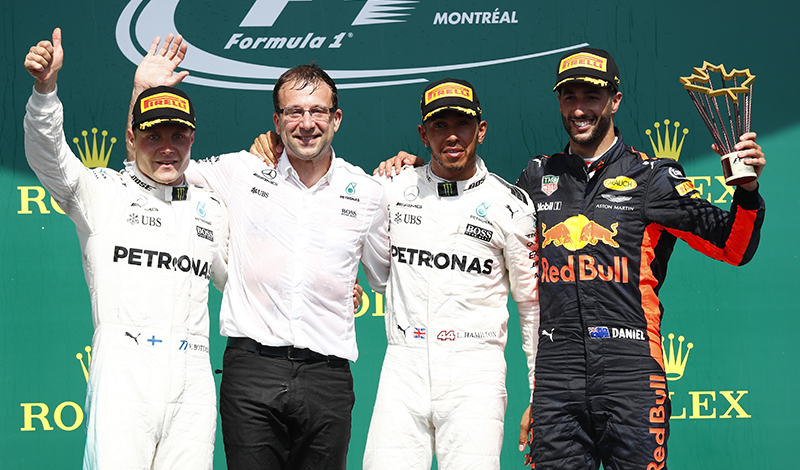 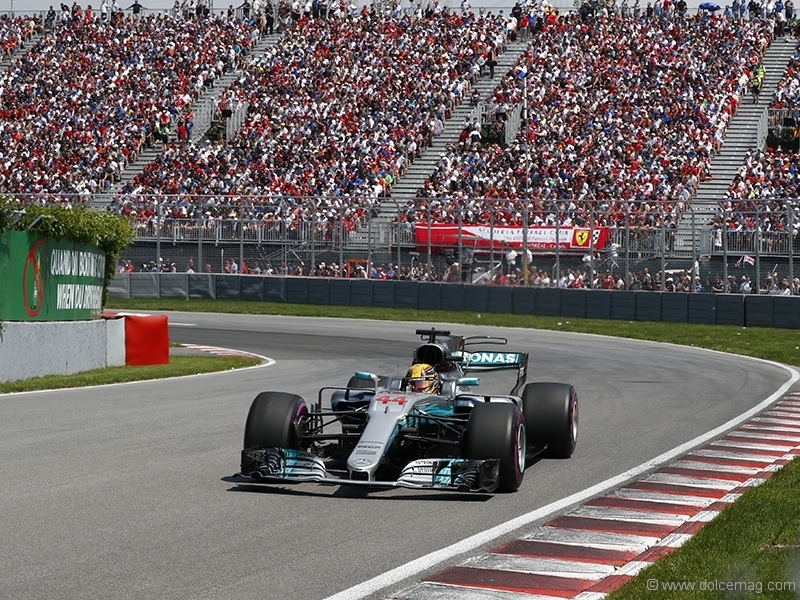 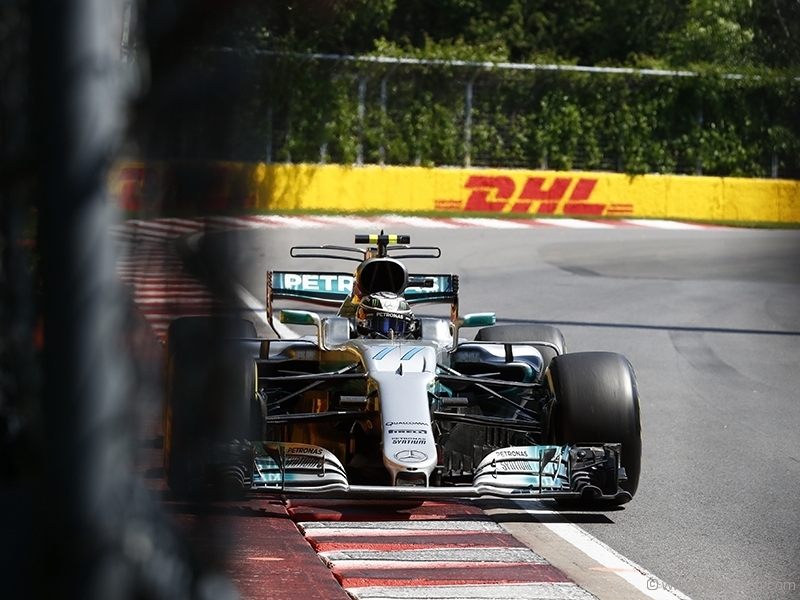 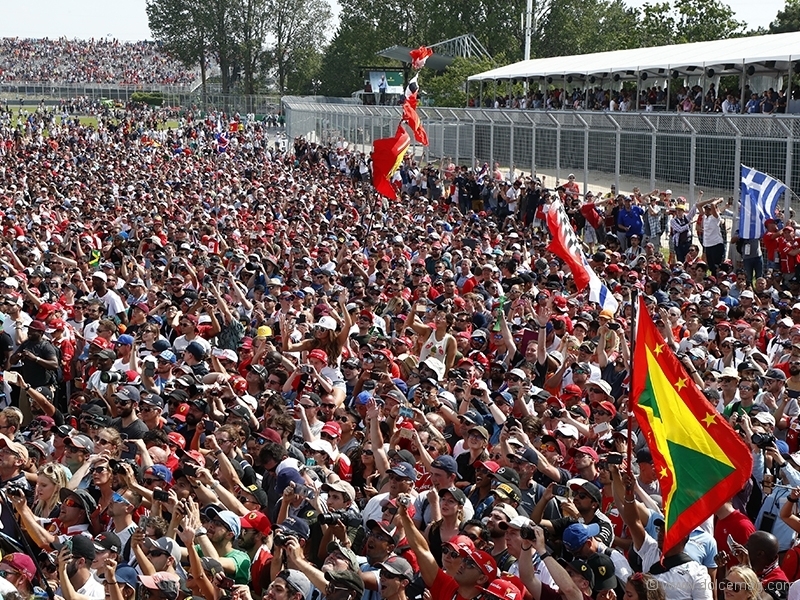 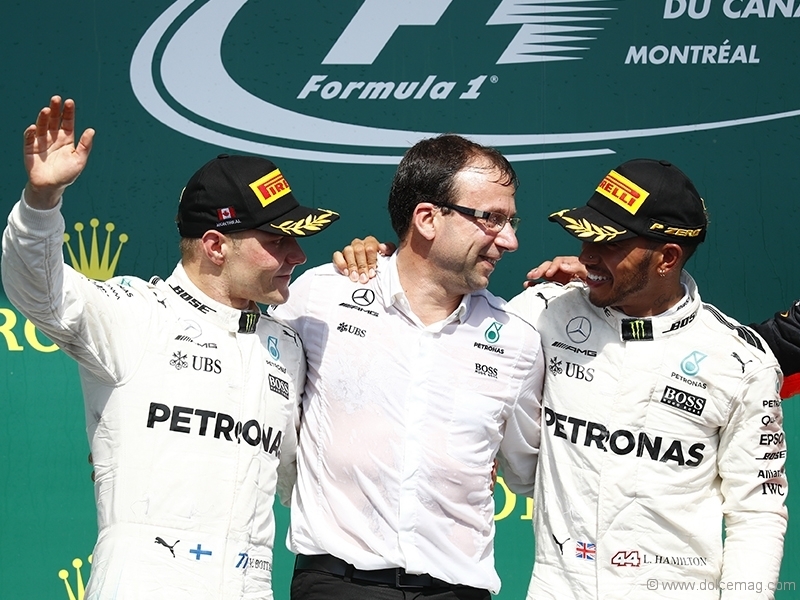 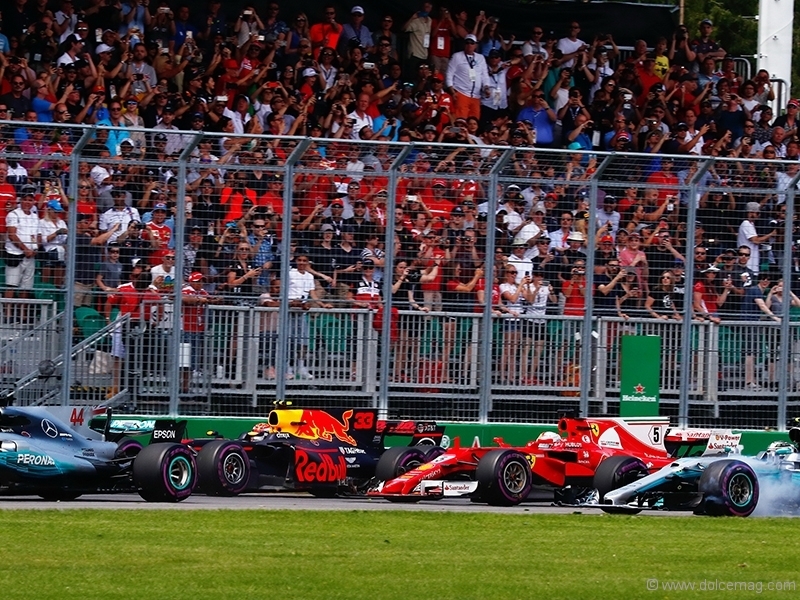 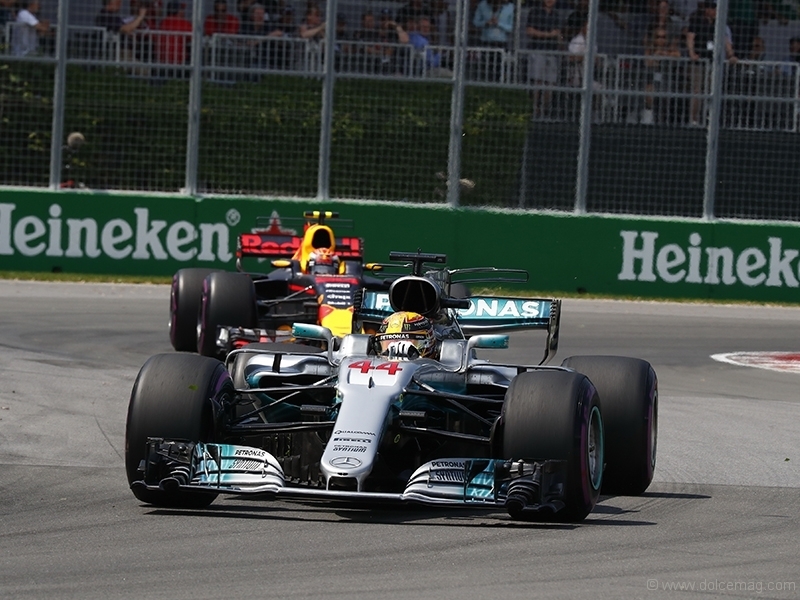 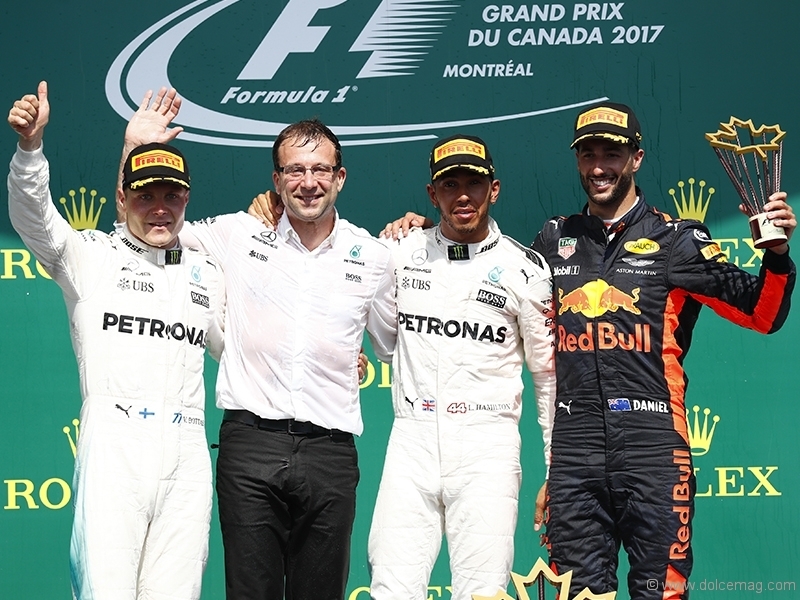 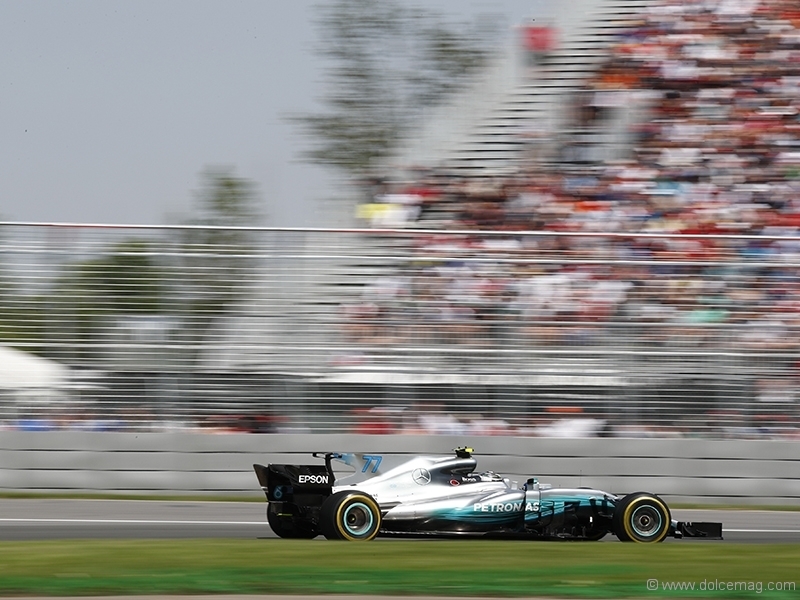 It was sizzling hot on the Circuit Gilles-Villeneuve track on Sunday, June 11, at the 2017 Canadian Grand Prix in Montreal — but no one was hotter than Mercedes-AMG Petronas Motorsport as Lewis Hamilton and Valtteri Bottas finished an incredible one-two, the Silver Arrows’ first such combination finish of 2017. 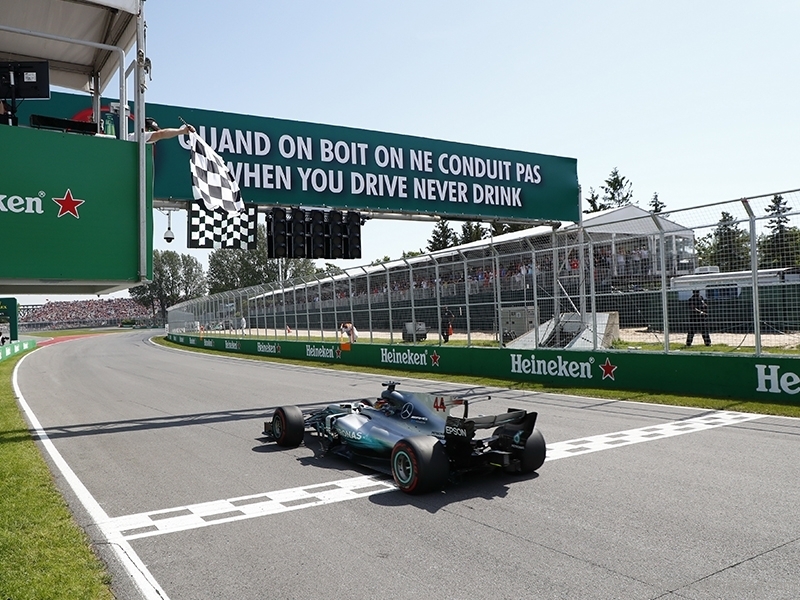 Hamilton won for the 56th time in his illustrious career and, perhaps more amazingly, his sixth career victory at the track in Montreal. 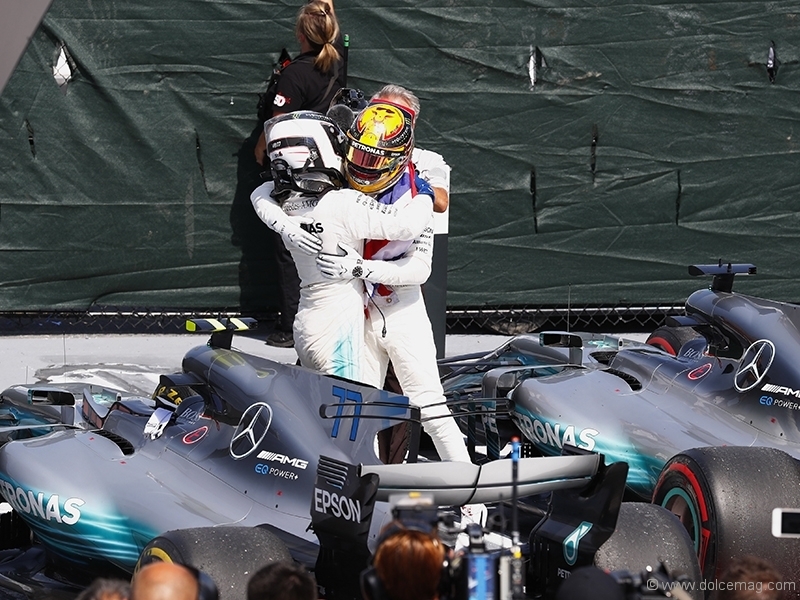 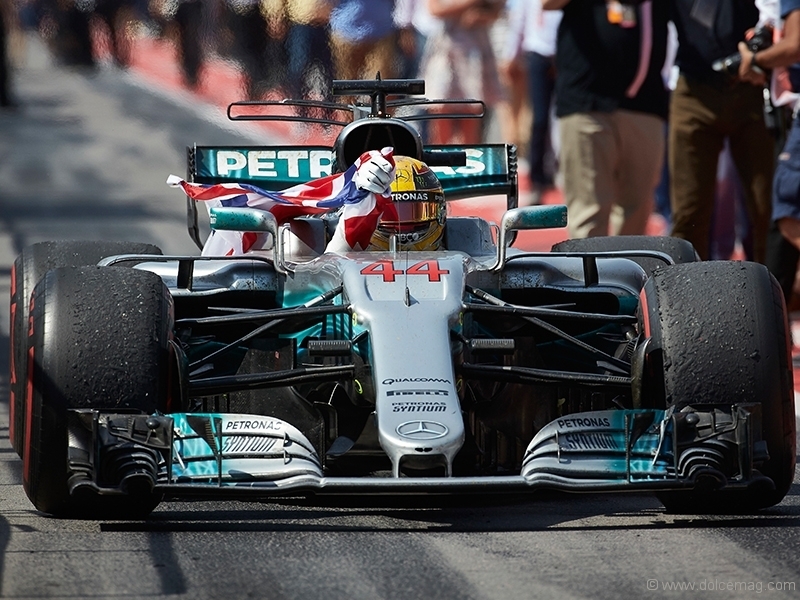 With the victory, Mercedes-AMG Petronas Motorsport now leads Ferrari in the Constructors’ Championship title race by eight points, 222 to 214. 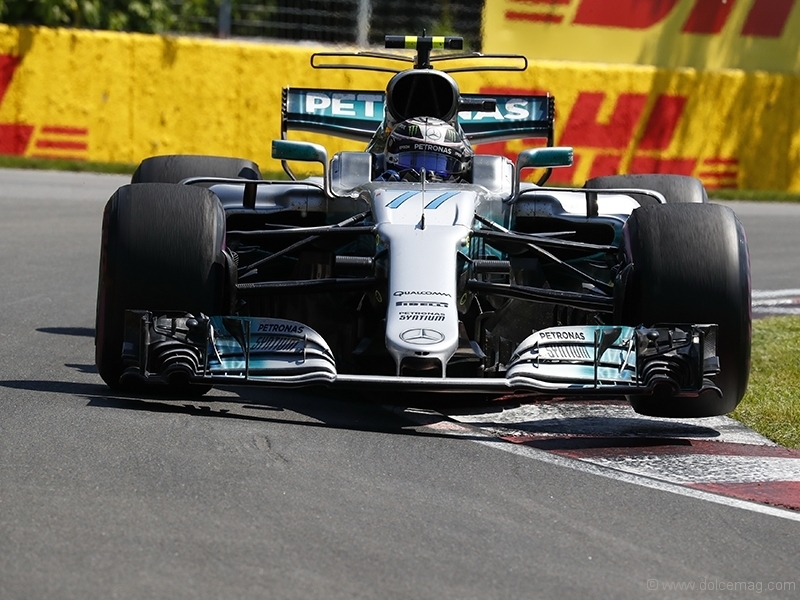 Hamilton has now narrowed the gap on Sebastian Vettel in the Drivers’ Championship battle to just 12 points, 141 to 129 points, with Bottas a further 36 points back in third position.